customer walks into a Lululemon Athletica store to buy a pair of yoga pants. She picks a pair in her usual size 6 and heads to the dressing room. But after pulling, stretching and bending to get them on, they feel very tight. Slightly annoyed, the same customer walks across the street to the similarly named and themed store Athleta, which is owned by a different parent company. She finds a similar pair of yoga pants, heads to the dressing room, and finds that this size 6 fits much looser than expected. What gives? 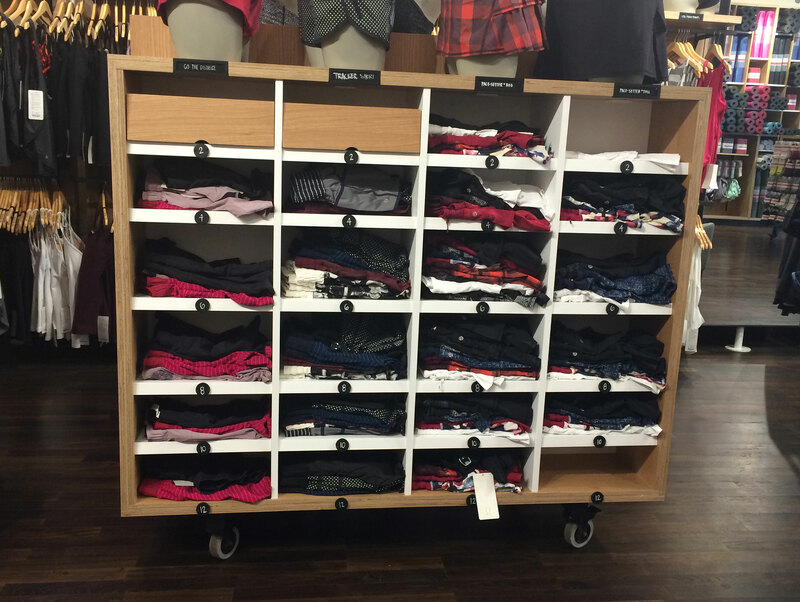 When it comes to sizing, shoppers are the Goldilocks of the retail world. Retailers will tell you there is no standard way to size. However, clothing companies strategically use sizing methods that translate into a win-win for their bottom-lines and their customers’ self-esteem. Marie-Eve Faust, an assistant professor of fashion merchandising at Philadelphia University, says clothing companies that strategically target specific markets are nothing new. “Women don’t have the same shape or size. Each company was understanding their target market and they would change their sizing accordingly,” says Faust. Lululemon, a women’s clothing brand best known for its yoga wear, is no exception to this. In fact, the company thrives on serving a specific type of customer. In recent years, Lululemon has been criticized for its lack of extensive sizes — it only offers sizes 2 to 12. 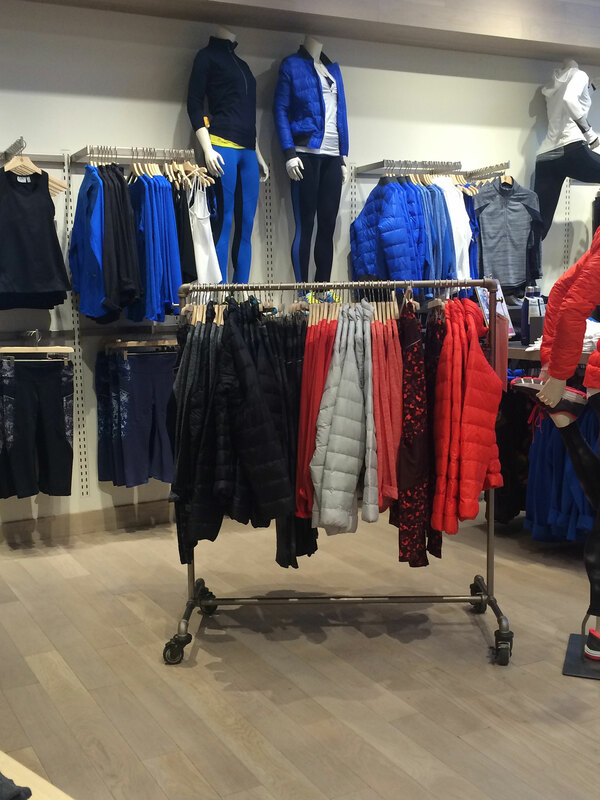 Lululemon sees nothing wrong; it simply sees it as catering to its targeted market. Lululemon consciously defines their customer as the smaller woman, says Tammy Kinley, an associate professor of merchandising and digital retailing at the University of North Texas. “They are not trying to fit the entire gamut of the American woman. They are focused on the niche of the smaller woman who is in more interested in physical fitness, particularly yoga because that is where they started,” she says. This might be a commonly known business strategy, but talking about it can cause negative ripples. Chip Wilson, the company’s former CEO and co-founder, quietly stepped down after he said some women’s bodies just “don’t work” in the brand’s pants last year. A rival of Lululemon, Athleta, has given the company a run for its money. With the motto, “Power to the She,” Athleta’s image has managed to stay pristine in comparison to Lululemon’s. However, Athleta strategically uses vanity sizing, another sizing method. “Vanity sized clothes run larger but have a smaller size number, and there’s a cost relationship with that. If you want to be a size 4, you probably can be no matter how big you are, but you will have to pay more,” says Kinley. Faust says vanity sizing is a brand's way of pleasing a wider range of customers, rather than focusing on a specific type of consumer. “Because we don’t have the same shape, more and more brands are targeting different shapes and labeling it as the same size,” says Faust. Athleta’s sizing runs larger than what most women would consider normal. Ask any sales associate. Hence, a majority of women feel elated walking out of their dressing room with a pair of smaller sized yoga pants in their hands. “The responses from customers are usually positive. Part of being a stylist is to make sure the women are comfortable in what they purchase,” says Joanna Louie, an assistant manager at Athleta. Are sizing inconsistencies the fault of retailers? It is a two-way street. Companies are doing whatever it takes to make the customer happy, while shoppers expect nothing less. “When we go shopping, we like to treat ourselves. You don’t want to be told by the label that you are getting fatter because you need a bigger size. Thats why we play with sizing. Women are aware, but they are pleased with it,” says Faust. Lululemon and Athleta will continue with their current sizing strategies because it builds brand loyalty. “You as a customer go into a store and find a brand that fits you well. You will go back to this brand because you know it fits you perfectly. From an economic point of view, that is great for the brand because they create loyalty with their consumers,” says Faust. Kinley says that consumers are willing to shell out extra cash for a smaller number on the tag. “There is psychological and academic evidence that, people — women — are happier when they achieve fitting in a smaller size number. We are willing to pay more money for that smaller size number,” says Kinley. Elaine Whaley, a loyal Lululemon customer, says that her “Groove” yoga pants are the most comfortable pair she has ever worn. “The thing that appeals to me about Lululemon is that they really do make me look good,” she says. Most importantly, sizing strategies are connected to economic success for retailers. Lululemon’s fiscal statistics shows it is not deterred by its critics. The company’s third quarter fiscal results in 2013 showed no signs of being affected by Chip Wilson’s comment in November of 2013. Lululemon’s third quarter revenue in 2013 increased 20 percent to $379.9 million compared to $316.5 million the same period in 2012. Looking at the company’s earnings up to the third quarter, it also increased in comparison to the previous year. The net revenue for the first three quarters of the 2013 fiscal year increased 21 percent to $1,070.2 million from $884.9 million during the same period in 2012. Has Lululemon’s success hurt Athleta? Not necessarily. The number of Athleta stores opened nationally points to financial success. During the second quarter of 2014, Gap Inc. opened eight more stores, increasing the total number to 79. The company expects to have 100 stores at the the end of the 2014 fiscal year. Not bad for a company who had zero stores in 2008. Although Lululemon and Athleta appear to be doing well, what do customers get out of buying the most coveted, $98 pair of yoga pants? Nilufer Aydinoglu, professor of marketing at Istanbul’s Koc University, says Lululemon’s social phenomenon is due to the exclusivity that comes with wearing the brand. “Fitting into a size 4 signals something to you and to others. Being able to shop in Lululemon is almost operational in the same way. If you can buy products there for yourself you are part of that thin and beautiful group of people,” says Aydinoglu. The reality is, the smaller the size, the happier women are. “When we go shopping, we like to treat ourselves. You don’t want to be told by the label that you are getting fatter because you need a bigger size,” says Faust. There is no denying the industry is chasing its self. What retailers consider to be the average size becomes smaller and smaller as years pass. In the 1970s, the average was a size 8. In the 1980s, a size 6. Now, the average woman is supposed to wear a size 4. Part of the problem, Faust says, is designers are taught to design garments on elongated figures whereas in reality, the average woman’s height is 5’4 and obesity is a growing problem in America. “Some companies don’t want to go for bigger sizes. Or they don’t want to project this type of image size. Some companies that we know very, very well they don’t target obese people — the bag with pink stripes. It’s part of their strategy to target a smaller size market. If they have a bigger size they will put it in the back of the store,” says Faust. No wonder sizing is such an issue. The next time you find yourself in a dressing room at Lululemon or Athleta with a pair of yoga pants that don’t fit quite right, just know, it’s not you — it’s them.